Seeing the products in our bathrooms piling up and not being able to find a solution that gives us easy access to each of them. In times when bathrooms are fully of products, they can quickly become untidy and unorganized – with various body washes, shampoo bottles, beauty products and hygiene products taking up all of your shelf and shower space. So, it is safe to say that bathrooms are notorious for accumulating clutter. From toiletries to makeup, cleaning products and other accessories, sharing a bathroom with other family members gives you even more worries in the end. While we already reviewed shower caddies for storing all your shampoo bottles, razors, wash clothes and other accessories, every bathroom deserves proper storage off the shower too. Now, the best choices and solutions include storage baskets and containers. Today, we are reviewing the best storage container sets and baskets for your bathroom – at the best possible prices. 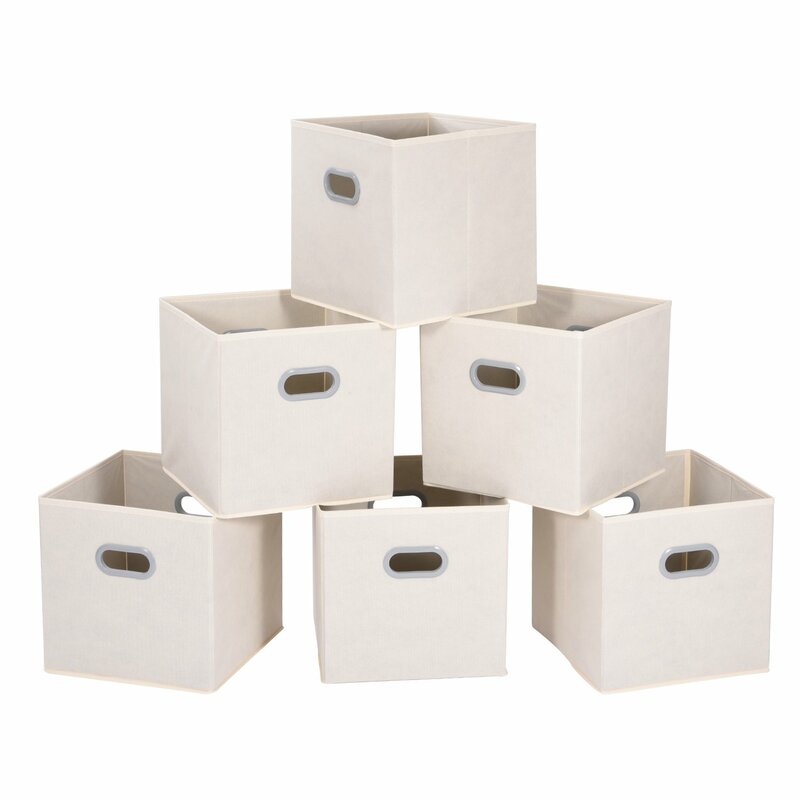 First on our list of best bathroom storage container sets is this model by MaidMAX which offers collapsible storage bin sets in a couple of colors – beige, black and brown. The drawer is space-saving and convenient to take along. All you need is to fold them up when you don’t use or when you need them for travel. 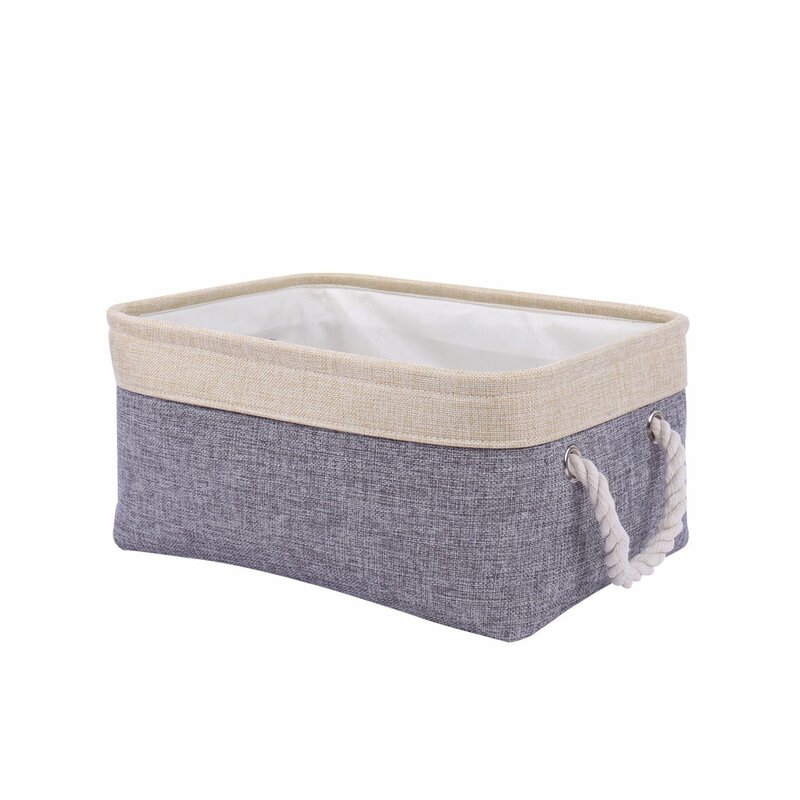 This storage basket set is perfect for most bathrooms because of its fabric. Speaking of, the fabric is made with non-woven materials, resulting in a soft, breathable and non-irritating experience that protects both your hands and your items. On top of this, there are two sturdy plastic handles that ease up the portability – as well as a multiple-functional container which is ideal for storing stuff such as clothes, underwear, socks or other belongings (hair dryer, combs, makeup etc.). If you are looking for a rectangular storage container with a neutral color palette, this is definitely a product to consider. There are several sizes available, starting from 11.8 x 7.9 x 5.2 inches up to the biggest one of 17.7 x 13.8 x 9.8 which is perfect for bigger spaces. What makes this product one of the best storage containers on the market is its thick EVA layer inside that allows maximum convenience. There is also a rope handle for easy slide in and pull out of shelves or cabinet too. 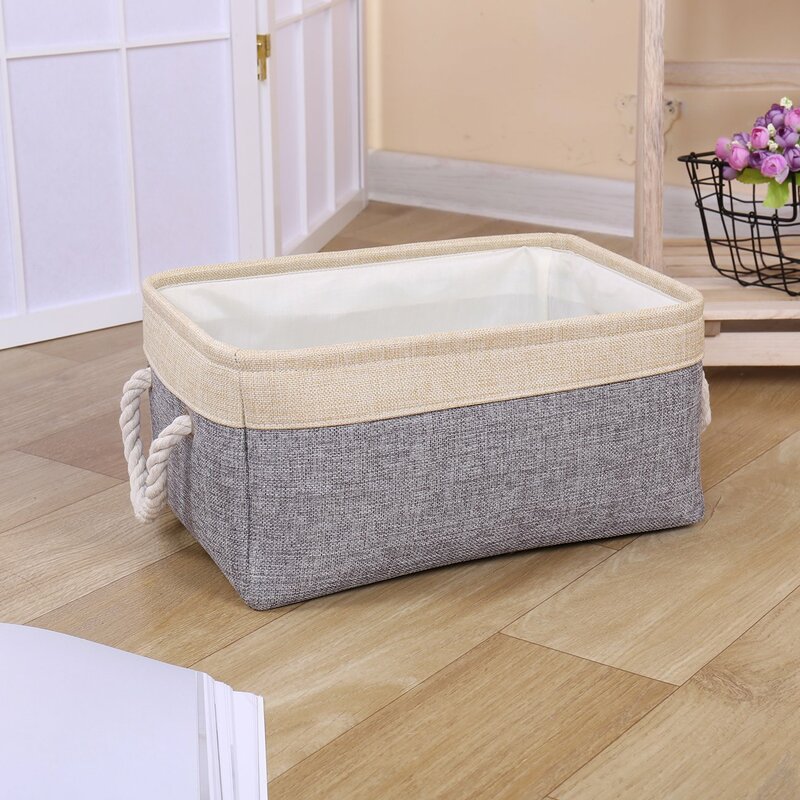 All in all, this storage basket is ideal for dorm-room storage, family bathrooms and everywhere where you need to organize your space and put the products inside a lightweight and durable basket. 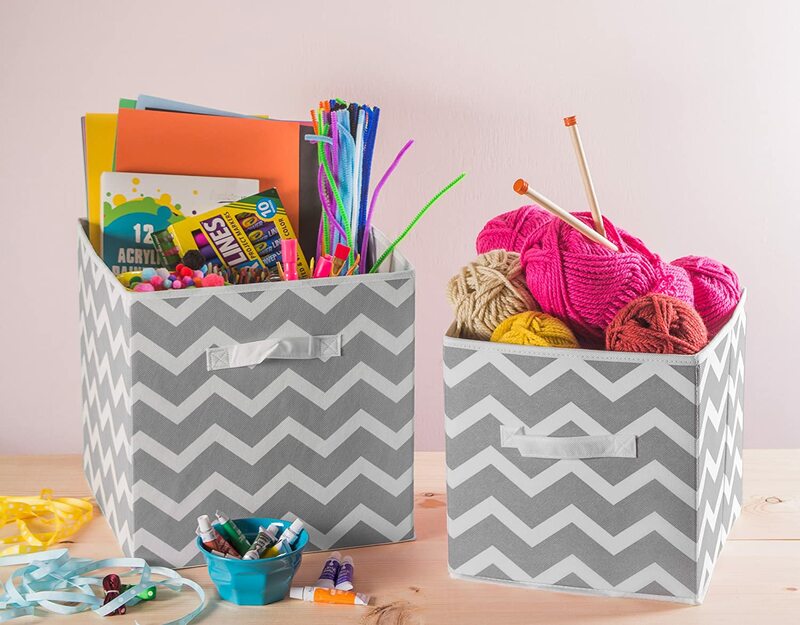 This is one of the best storage containers because it comes in a set of six identical baskets which are available in Gray, Aqua, Beige, Stripe Black or Stripe Gray Taupe. As such, it is ideal for keeping your household items tidy and organized – as well as great for toys, art and craft supplies, books, linens, clothes, shoes, seasonal items, DVDs, memorabilia and more in the home or office. 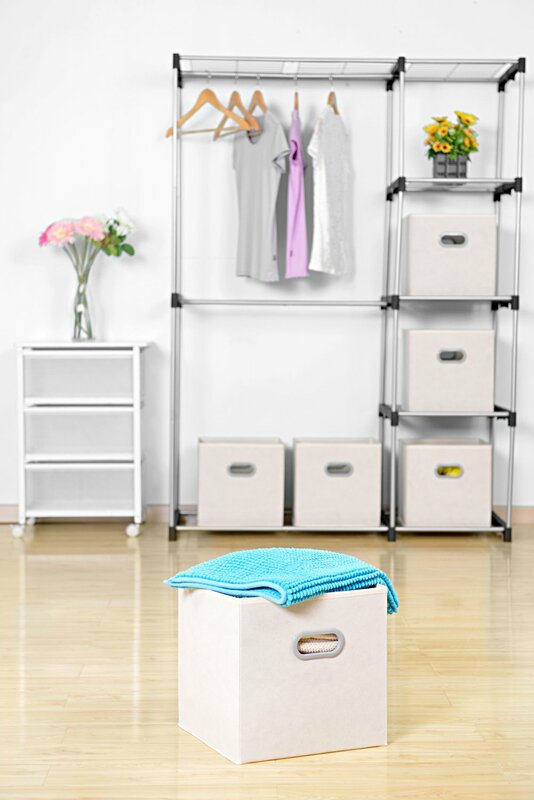 The storage basket is also versatile and fits any room – or can even be separated and used in more rooms including the bathroom. What’s great is the fact that the bins are collapsible, allowing you to save on space when not using them. In the end, this is a really affordable product considering the fact that it comes in a set of six baskets which are all stylish, elegant and durable. This bathroom basket set is quite different from the models reviewed above. 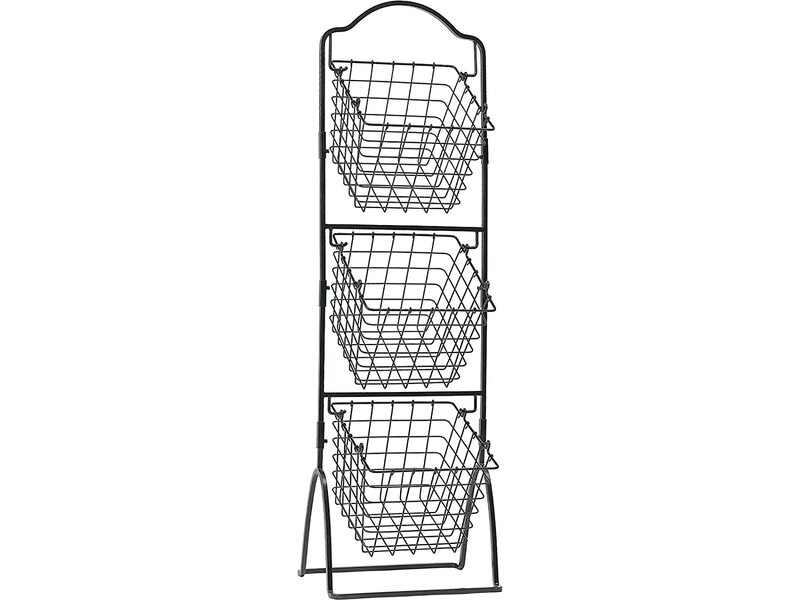 It is basically a stand which features three main baskets that are lined vertically – great for storing or displaying your cosmetics, baby products or anything that you need in your bathroom. The entire storage container set measures 47-5/8 inches high x 11 inches wide x 14-1/2 inches long. It won’t take much of your space vertically and comes in a variety of colors and styles such as the General Store, Harbor, Rooster, Bristol and Home Spun variations. 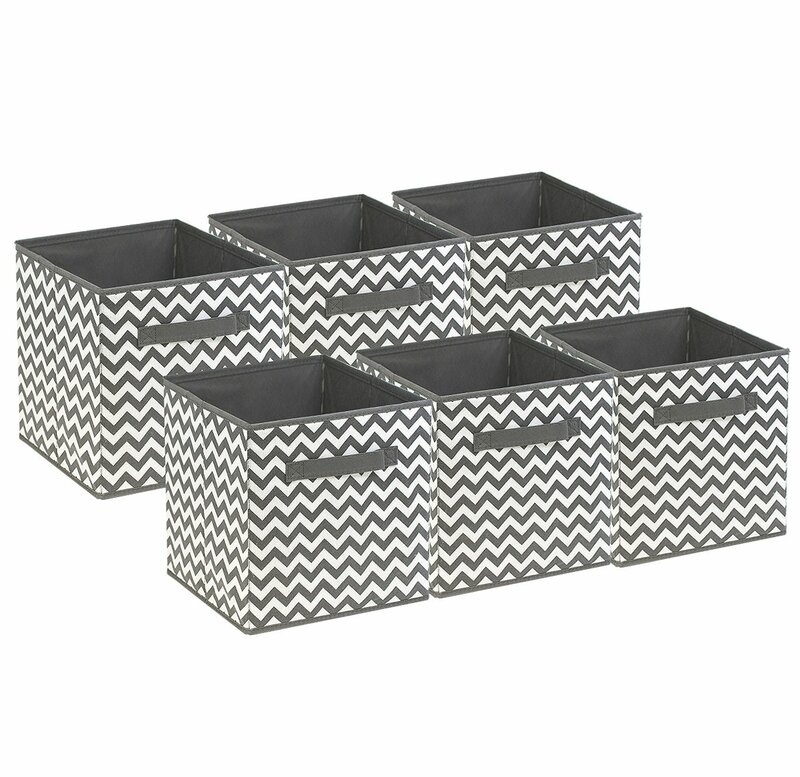 It is perfect for any room and holds a whole lot more products that most of the storage container sets out there. The best part, probably, is the fact that you can use it anywhere around the house – or buy the same product for your kitchen, bedroom and other areas. This is one of the best storage container sets out there for many reasons. 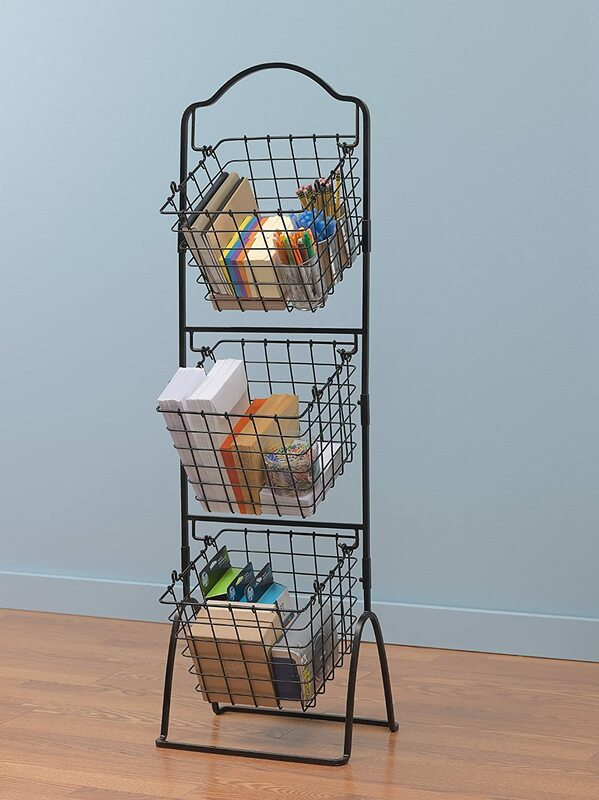 First of all, it fits into cube organizers with its measurements (11x11x11) which is according to many the perfect size for most cube organizers. On top of this, it is easy to clean. All you need is a damp sponge or soiled areas. Trendy and stylish, it comes in a variety of styles and colors and is perfect for any bathroom, nursery, home office, craft room etc. All in all, the DII Fabric storage container set is the perfect organizational solution for the home, solving all of your storage needs and making most of your space. 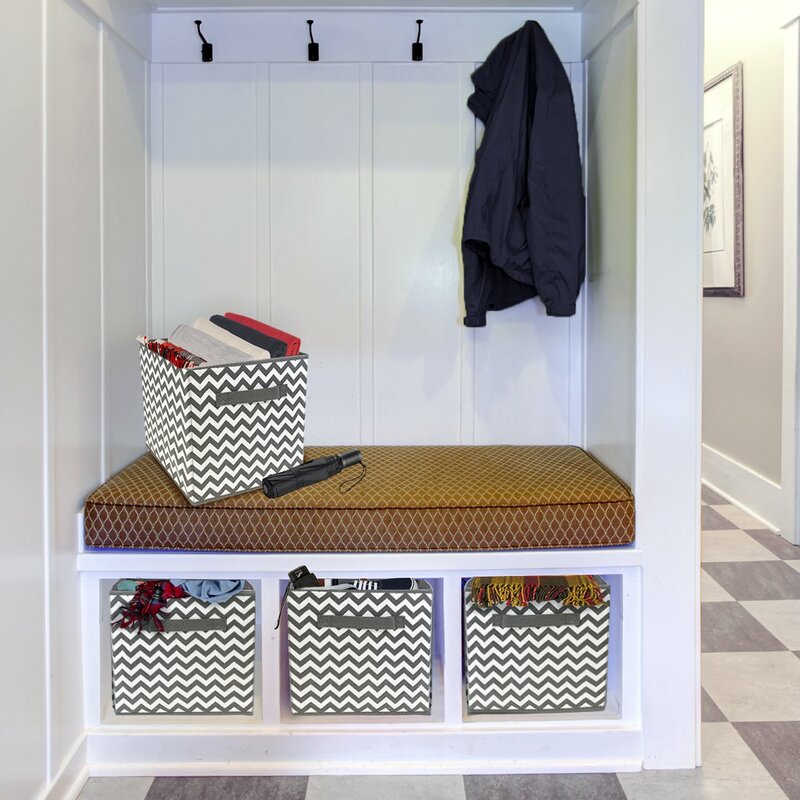 In the end, the best storage containers can be used in all rooms and areas of the home. They are great for storing and organizing out-of-season clothes, bathroom accessories and anything that piles up in your home. The versatility, functionality and easy to use features make them perfect for the bathroom. 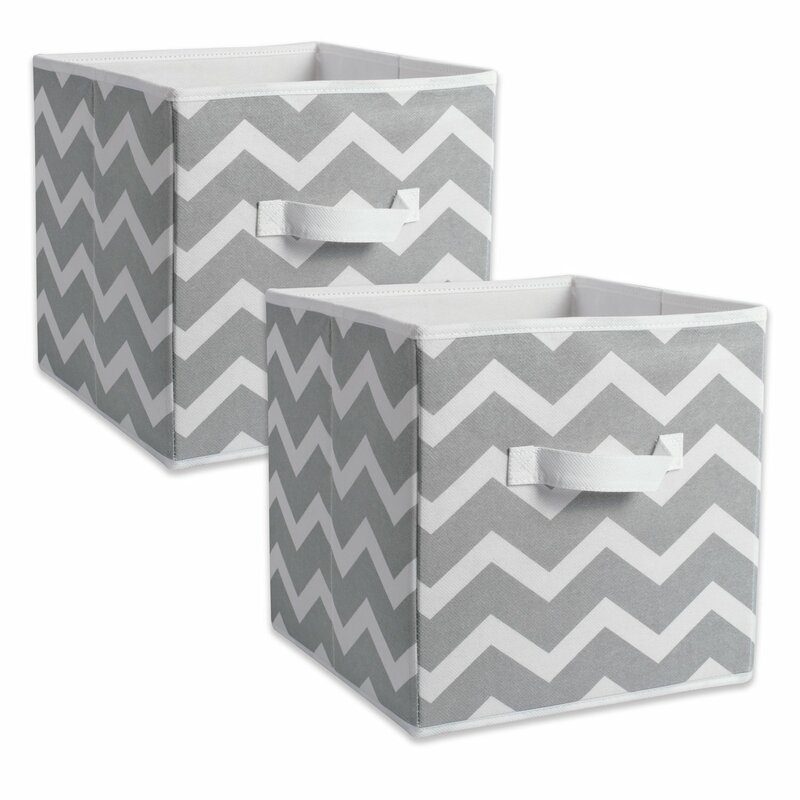 We hope the list above helped you choose an ideal storage basket for your bathroom! Good luck!